The Diplura and Protura are primitively wingless orders (not descended from winged ancestors). Protura, which lack antennae and cerci, are tiny and rarely noticed (so I have no photographs to include here!). Diplura can be found under rocks and logs or in the soil, and are small, eyeless insects with two antennae and two tails (cerci). 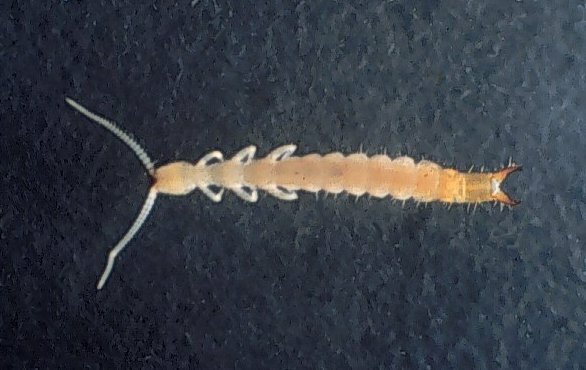 The most common diplurans are elongate, white Campodeidae with long cerci. The somewhat earwig-like Japygidae have forceps-like cerci.